Our Testimony of God’s Faithfulness and Victory in the Fight. Over the Thanksgiving season, our Pastor asked three couples to share their testimonies: Thankfulness in the Ordinary, Thankfulness in the Fight and Thankfulness in the Victory. We were asked to share about the lost of our two children for the later. Here it is, written as we shared it or you may listen to it on the church web site. http://www.pmchurch.net/multimedia-archive/testimony-thankfulness-victory/ (Note it takes 24 seconds for the tape to start playing). 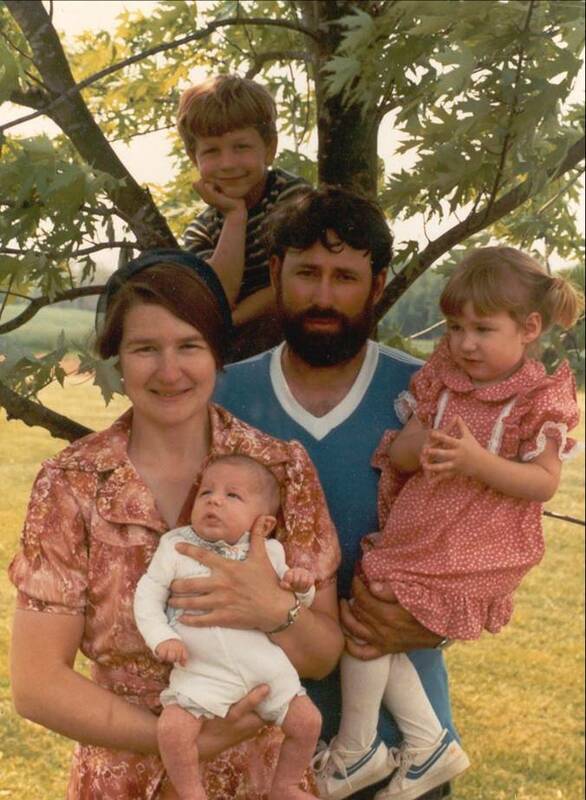 40 years ago, we were in the midst of starting our family. We wanted four children and God blessed us with four. Two, Keith and Jill, are living and here today with their spouses and children (our grandchildren). Two other children, Karla and Greg, died at the tender age of 5 and 7 months from a genetic disease (SMA or at that time was called Werdnig Hoffman Disease). SMA is a cruel disease. The nerves that join the spinal cord die and whatever movement they control the muscle deteriorates. Their arms and legs are limp and it affects their swallowing and breathing. Because we carried the most acute stage, the symptoms appear at or shortly after birth and their lifespan is one year. Our first child, a son, was born kicking and making his presence known in the world with gusto. Keith was a very energetic young fellow with unlimited energy. Fifteen months later Karla was born. She was a very contented, thumb sucking, little angel who would lie in her bassinet or sit in an infant seat for hours just sucking her thumb and watching me work. She rarely cried. When Karla was about 3 months old, we started becoming concerned about the lack of development and movement. We shared it with the pediatrician and he monitored her for the next several weeks. He decided we needed to go see a neurologist. A week before the appointment to the specialist, we ran into a medical crisis when Karla developed pneumonia and a lung collapsed at home. I well remember that drive to St. Mary’s Hospital. We decided it was quicker to just go than wait on an ambulance. Gene drove very fast and we ran red lights (of course the traffic was different then) and got to the hospital in record time. Gene dropped me off at the emergency room door as he parked and when I blurted to the receptionist that Karla was having breathing problems things happened NOW. Amazingly, the specialist on call that night was the same specialist from MCV that we had an appointment with the following week-Mr. Myers. Before the evening was over our world was rocked. We were dealing with a fatal, no-survivor, no-cure disease with a life sentence of less than a year. They transferred her to MCV where she was in intensive care for the next three weeks before passing away. We were taught and believed that God does not allow more in our life than we can handle. At the age of 27 that belief was tested with Karla’s diagnosis and the difficult journey we faced was full of unknowns. But as our families, friends and church family learned the shocking news, they offered comfort and support. I remember Art and Phoebe Ranck were especially dear to us. They too had buried an infant daughter under difficult circumstances. They understood and cared for us with love. We remember one verse that they shared with us during that time from Deuteronomy 33:27, “And underneath are the everlasting arms.” Even in the midst of deep testing and difficulty, God’s arms were there to hold us tight. At that time PMC was still a young church-12 years old. There was no cemetery. The church came together to build a cemetery knowing that the first to be buried would be their youngest, a baby. Looking back it is so beautiful to us how God provided the people we needed at the time we needed. Doris Ranck was especially dear to me with daily phone calls. Sheila Schaefer and Janis Ranck babysat many hours. At one point during Karla’s illness, MCV was doing what medical facilities do, prepare the family for taking their loved one home. This was a big deal. Karla literally needed round the clock care; suctioning equipment, heart monitor, oxygen, and feeding tube. I am not a nurse, but they started teaching me to do all those things. It was overwhelming. Doris helped us work through what all that meant and what it was going to look like. I had an energetic little boy that needed a mommy. This was a time of almost overwhelming pressure and hopelessness. In the midst of this, our local family doctor here in Powhatan, Dr. Bradley called. You have to know that Powhatan was very different in those days. People in the community knew each other. There was one doctor and we all knew him as a friend. He was not Karla’s doctor, she had a pediatrician, but he was ours and he had heard about what we were going through and one evening called to chat and offer his comfort and encouragement. I poured (actually, cried out my heart) to him. He listened and then he said, “Karla needs a nurse, Keith needs a mommy. You and Gene must take care of yourselves and Keith.” That call was God sent. It was words of hope and care and offered the wisdom we needed. The next day we informed the hospital that we could not bring her home. The weight that lifted from our shoulders was huge. We were so grateful for God’s care. Karla spent three weeks in intensive care at MCV. The bill was $5000.00 total and we did not have insurance. It looked overwhelming to us. Someone “mysterious” paid our funeral expenses and Crippled Children’s Hospital wrote off the bill. I had a friend in Harrisonburg who during revival meeting at her church during this time felt God impress on her heart to give us her quarter collection. It weighed 8 lbs. It was almost more than we could bear to accept even in our time of need. You see, she was a “widow” living alone because her husband had deserted her on the mission field for another woman and had also turned her four children against her. God taught us humility in receiving in a most precious way. Before I was married, I had helped them in their move back to the states. The Sunday Karla died, Pat and I were at the hospital all day and needed to come home to do some chores and touch base with Keith. He had been at the Rancks all day. Art and Phoebe decided to take us back into MCV. We knew Karla was quickly going downhill but when we saw her several hours later we realized Karla was in big trouble and the end was near. We debated and wrestled with whether to stay the night. I needed to be home to milk in the morning and we had a young toddler at home. The hospital insisted we go home that she probably would not die that night. When we got home and walked in the house, Doris, who was here with Keith, was on the phone with MCV and they were telling us to come back. We headed back to Richmond. Just as we passed Flatrock a car came racing up behind us with lights flashing. It was Art. He pulled alongside and flagged us over. As we were going out the lane, MCV had called again. Art brought us the news. Our Karla was gone. 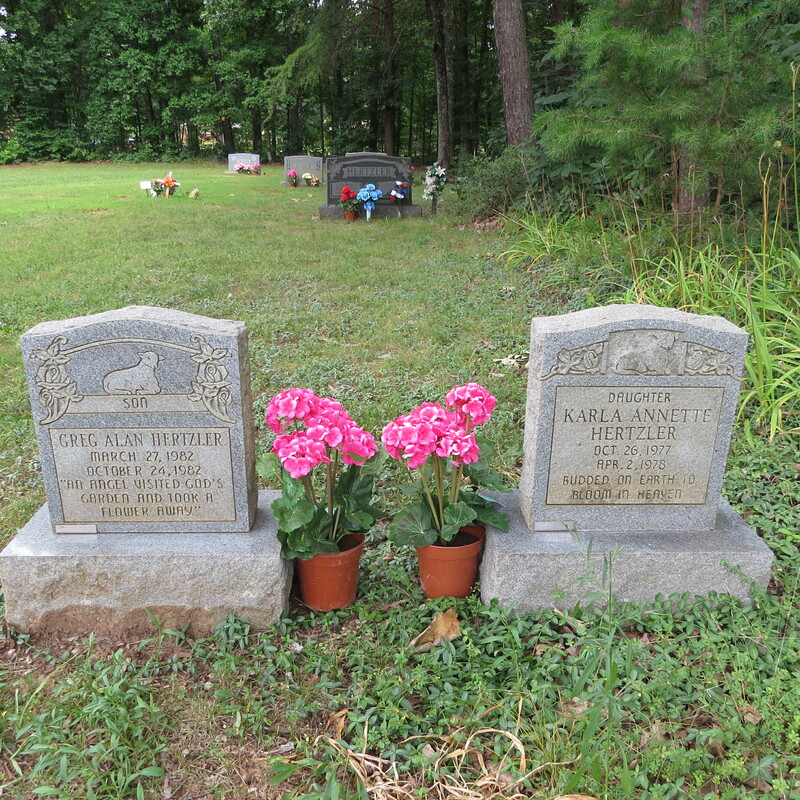 After Karla’s death, we were faced with the difficult decision about future children, remember we wanted four children. There was a 1 in 4 chance on each pregnancy that this could show up again. We decided to take the risk and leave it in God’s hands. We had found His grace to be sufficient and trusted Him with our future. A year later God blessed us with a healthy baby girl, Jill. I dealt with a lot of fear during the pregnancy, at times almost more than I could bear. You see, I analyzed every movement in the womb and compared to the previous pregnancies even though the movements felt strong. We didn’t know to have that worry with Karla. We didn’t know we had a genetic issue. When Jill was born and the nurse lifted her onto the scales, Gene pronounced her healthy. He said, “There is nothing wrong with this baby.” She was healthy, and we never worried after that. After a healthy daughter, we decided to try again. Again, it was so hard not to worry, analyze and fear the unknown. When Greg was born, Gene was silent. I noticed. The doctor pronounced him healthy but the next few days I was consumed with fear. I watched and analyzed Greg’s every movement. We just didn’t think there was enough strength in his legs and by the time we left the hospital we were very concerned even though the doctor assured us differently. We struggled…..Was God preparing us for what was ahead or the devil binding us to fear. In the midst of the battle, you can’t tell. Stress and fear became boulders in our path. It was a real battle we were fighting. I put verses in the kitchen window and played uplifting hymns. We prayed. We knew God’s love, experienced His care and trusted His faithfulness. We had to go through it and no one could walk it for us. But we pulled into ourselves. We could not bring ourselves to share with the church what we were fearing we knew. The Rancks, Pastor Steve and our families knew but beyond that we chose to suffer in silence. I remember one Sunday standing in the library doorway out in the hallway with Greg and listening to the lively chatter of visiting people. A feeling of overwhelming loneliness swept over me. Pastor Steve began working with us on how to share it with you, our church family. When Greg was six weeks old we dedicated him to the Lord and then Pastor Steve shared with you, the church. I remember the church gathering around, laying hands and praying for us. I cannot begin to tell you the relief we felt that morning. I cried buckets-all day. My family was also here that Sunday. Now, you knew. The burden was shared. The overwhelming load that crushed us was gone. We had brothers and sisters who loved us and were now standing in the gap for us. Even though the road ahead would be extremely difficult, and it was going to be our personal journey to walk, we had supporters, encouragers to help carry the load. Once again, I found myself asking for grace to survive this journey. We knew what was ahead, but we didn’t know how it would all play out. There were many doctors’ visits and medical decisions. This ordeal was very different from Karla. From the time we knew she was ill it was three weeks and she then was in the hospital. But with Greg, it was nine months of pregnancy plus seven months of living, most of which was at home under our care. He became very attached to Pat and if someone else tried to hold him or he became stressed, he instantly developed respiratory distress. Four times he stopped breathing and we thought he was gone and too many times to count he went into serious respiratory distress. One time he stopped breathing while I was in the house alone with Keith and Jill. He would get mucus plugs. I yelled out the door for Gene (this was before the time of cell phones) and fortunately Gene was nearby. He immediately came to the house. Greg’s breathing had stopped, his eyes had glassed over and set. There was no pulse. Gene went to the phone to make the call and Greg started spluttering and breathing again. Another time Gene was combining on Rocky Ford Rd. at Watt Flippo’s. Again, I thought I had lost him. I called Doris and said, “He’s gone. I need Ed to go get Gene.” Ed quickly brought Doris over and went to find Gene. Again, he revived. Another time Dorcas Schaefer took me to the pediatrician’s as it was not safe for me to take Greg by myself. Doris also went along as she had an appointment for Jon Michael who was sick. As we were walking out the door of the doctors after his appointment, Greg coded again. The entire office rushed to my aid and this time the doctors got to see the reality of what we were dealing with. Several weeks later he ended up in the hospital with pneumonia. 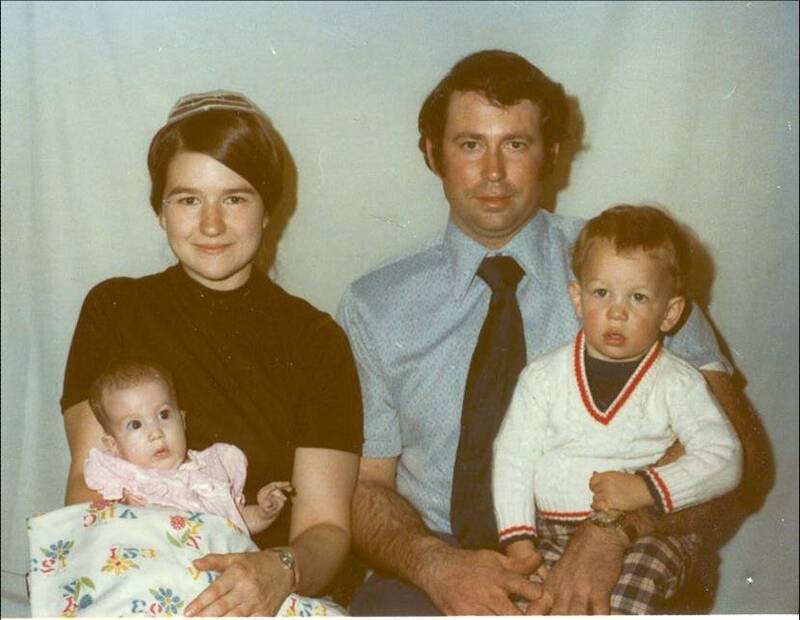 At the time, Ed and Doris were going through a lot of medical issues with their baby and they ended up in the same hospital several days before Greg. We had the same pediatrician and he knew we were close friends. When Greg was admitted, we were put on the same floor two doors from the Rancks. Dr. Abernathy went to Doris and said, I was going to let you go home today but can we just keep you here another day? I want you here for Pat. We knew we had a good doctor, but God showed us he had also provided us with a doctor with compassion. While in the hospital he coded again. I had to learn to tube feed and suction. Remember, I was not a nurse and it is not much fun learning on your own child. When I got home and had to stand in front of my child and actually stick the tube I was holding up his nose and guide it into his stomach and not his lungs was daunting. I could not do it. Betty Hertzler came and help me change his tube. After a few times I did learn to do what I thought I could not do. God gave me strength. I lived with a huge knot in my stomach. There were times when I was physically sick because of the mental stress. There were many times when we put Greg to bed not knowing if he would be alive in the morning. We didn’t know when a mucus plug would be the one that would cause his death. People cared for us in so many ways. Rosalie came one day just to be with Pat. Many babysat Keith and Jill. One day Bob Hertzler came over when I was plowing and said, “When you can’t go anymore, call me. I know someone who will come and finish. At 11 a.m. Bobbie came. Another time Ron Moyer, Dave Moyer, Bill Schaefer and Ed Ranck showed up with their tractors and helped me do some field work. Pat’s folks came numerous times to help on the farm and with the children. One day when Greg was about three months old, Six-year old Keith was watching as I dressed Greg. Keith said, “Why does Greg’s chest look like that? Is that why he doesn’t breathe right?” I realized the time had come, Keith had to be told. We were waiting on him to ask questions. I explained that Greg was sick and couldn’t breathe right. Keith asked a lot of questions; would he get better, couldn’t we just push his chest back out with our hands, would he get to be a big man and still not be able to move? I quietly and honestly answered each question. Then he said, “that makes me so sad I could cry”. I told him it made me sad also and hugged him tight as he sobbed and sobbed. Then he had many more questions: Couldn’t the doctors give him a shot to make him better, when will he die, does he have the same thing as Karla, will he (Keith) die, how will Greg get to heaven, will Jesus take him to heaven, can he move in heaven. It was a teachable moment and God gave me the words. Our children were also suffering, hurting and observing. They learned at a tender age that life is not fair. They learned about the fragility of life and the reality of heaven. I had a friend who kept pushing God can heal-if we just have enough faith. This is a difficult thing to discern. It became a test of my faith in God. I knew that Greg’s disease was fatal and there were no survivors. I also believed that God can and does heal. It is a difficult spiritual quandary. 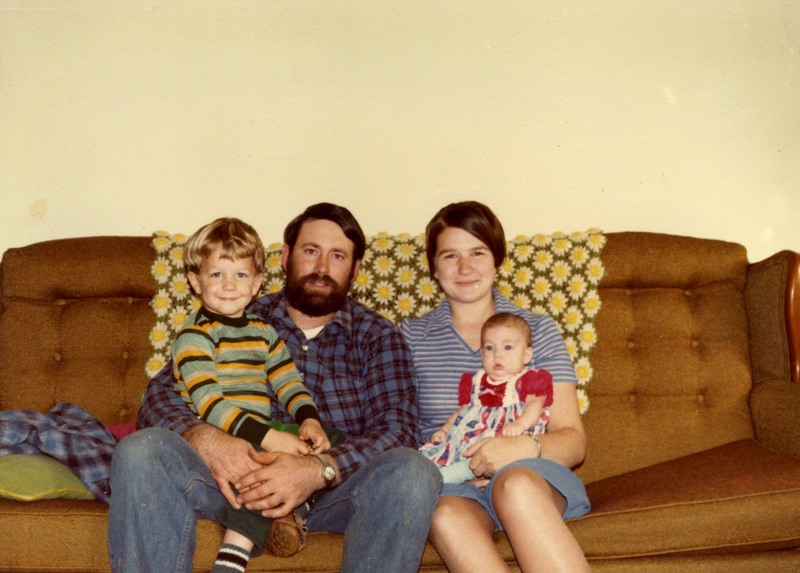 One day I laid Greg on the kitchen table and took Keith and Jill with me to the barn to get a gallon of milk. I was gone maybe 5 mins. Now what you need to understand is, Greg was four months old and he could not move. He could not turn his head from side to side when laying on his back. He had never lifted his head or even attempted to roll over. He could not kick his feet. He was basically a floppy rag doll. The table had a vinyl tablecloth on it, so it was not slippery. When I got back to the kitchen, Greg was on the floor, crying and gasping for breath. The chair was pulled out in an angle from the table as if he fell onto the chair first. I picked him up. There were no cuts, bruises or broken bones. The tablecloth us undisturbed. There was no humanly way possible for what just happened to have happened. In that instant, I felt God say to my heart. “Now, can you have that kind of faith in me?” I did. I knew that God could heal and I began praying for a miracle for him to heal my baby, if it was his will. I did not know if God would choose to heal Greg. The important thing was that I had knew he COULD. I do not know how Greg got on the floor, but you will never convince me it was by earthly means. Greg died on a Sunday morning. We knew when we got him up that he was in serious trouble. This time was different. Pat called Dr. Abernathy and asked what we should do. He said, “If you bring him in to the office, I will have to admit him to the hospital. If you want to keep at home, I have calls I need to make at the hospital, but I am available to the phone if you need to talk.” He told us what to expect and talked to us about heaven. We called Pastor Steve and he came over on his way to church. When he saw our situation, he made a quick call to Sam Powell Sr. who was church council chairman and told him to make other arrangements for the service. Sam nabbed Louie Burkholder as he came in the church. Louie was to teach the men’ s class so Wally Schaefer took his place. Louie went into the pastor’s study and by the end of Sunday School came out with a sermon on prophecy and it was said he even went 10 minutes overtime! Around 9:30 a.m. I was holding Greg in the rocking chair when he stopped breathing in my arms. We were worried that death would be a frantic and scary experience. But as we together held Greg and each other, it was a holy moment. It is a moment when heaven touches earth. The day after the funeral, the huge knot in my stomach went way. When Pastor Bill asked us to share several weeks ago, our first thought was, this happened 40+ years ago. This past week I pulled out my journal-I had written in it every day. I became totally absorbed in our story almost as if it was a new story. I could not lay it down. Each day I had written of the struggle, questions, fears, and stress. But each day woven like gold threads on a tapestry were verses and testimony of God’s provision, love and care through people. There was so much I had forgotten but it all came flooding back. This was our story and it deeply affects who we are today. There is so much more we could share. So many more stories we could tell. And although 40 years old, it is a part of our present story. We have never forgotten the faithfulness of God, we still walk in it. We have never forgotten the peace that passes all understanding. We have never forgotten the meaning of “love, support and care” from others. We have never forgotten what it means to stand on our faith in God even when we didn’t know the answers, the going was tough, the next day looked insurmountable and we didn’t know the future. And yet we could trust that it would be ok even if it did not work out like we dreamed or desired. Jude challenges us “to contend earnestly for the faith”. (Jude 3) An enduring faith comes through challenge and severe testing. Sometimes it pays to look around. Look at what others are dealing with. We discovered we were so grateful we didn’t have to walk some other paths. We found God’s grace was sufficient for what we needed, every day. We found great comfort in knowing our children could only live a year. If we had stage 4 of the disease instead of stage 1 we could have two wheelchairs sitting here in the sanctuary today with two severely handicapped children. Our lives would have been so different. We are so grateful that is not the case. Through the years God has brought numerous people into our lives that were ours to help, ours to love, ours to stand with in difficult circumstances and ours to comfort through the deaths of their children. The Worship Team lead a song, “Victory in Jesus”. I love that song. Our victory is in Jesus. It doesn’t matter what you are going through; sickness, marriage tensions, job lost, financial difficulties, depression, disappointments, or infertility. These are all earthly trials and they are real. The struggle and fight are the same. Our earthly struggle is ongoing. We want to close with the words of a song that passionately proclaims the victory in the midst of the fight. I pray that each of you will experience that God is faithful, that Jesus heals our broken spirits, and there is victory in the fight. Does Jesus care when my heart is pained, too deeply for mirth and song. As the burdens press, and the cares distress and the way grows weary and long. Does Jesus care when my way is dark with a nameless dread and fear? As the daylight fades into deep night shades, does He care enough to be near? When for my deep grief, I find not relief, tho’ my tears flow all the night long? And my sad heart aches till it nearly breaks-Is it aught to Him? Does He see? Oh, yes, He cares, we know He cares! His heart was touched with our grief. We knew our Savior cared. 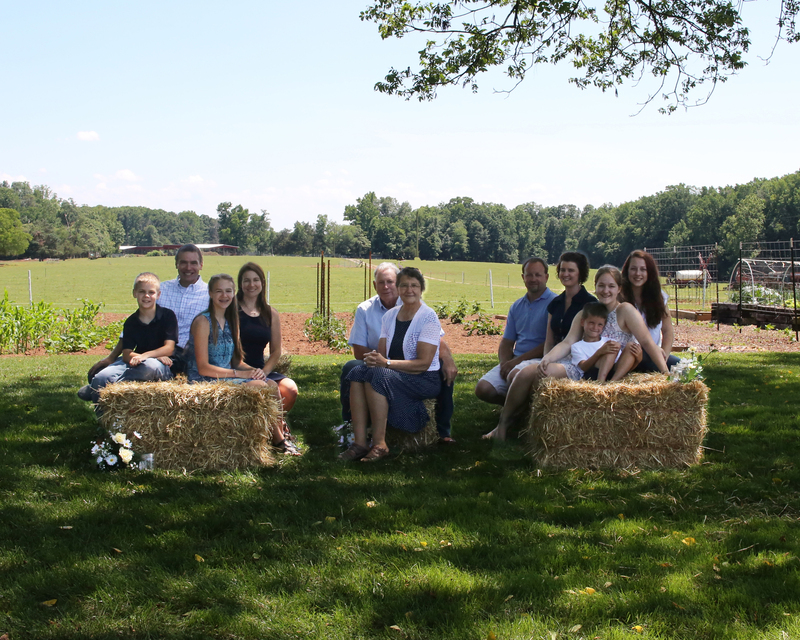 Today…..we are so blessed and grateful for His loving kindness to our family.